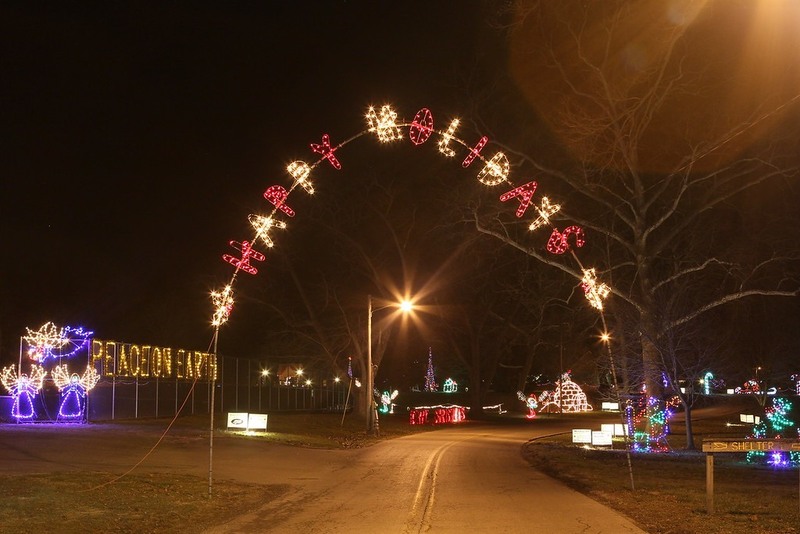 The Christ­mas City Walk­way of Lights entry will be free on Christ­mas Night again this year in the spir­it of Christ­mas. The Walk­way of Lights is open each evening from 6 – 10pm through Decem­ber 31st (New Year’s Eve). Nor­mal entry fee is $5 per vehi­cle and is good all season. If you haven’t yet seen this spec­tac­u­lar, nation­al­ly acclaimed dis­play of over 2 1⁄2 mil­lion lights in Marion’s Mat­ter Park along the Mis­sissinewa River­walk, this is the year you should expe­ri­ence it. Thou­sands of peo­ple dri­ve (or walk) through the Walk­way of Lights each year, one of the longest and largest dis­plays in the Midwest. Vis­it the Walk­way of Lights web­site below to find out more infor­ma­tion and a cal­en­dar of many more fun affil­i­at­ed events in Mar­i­on this hol­i­day sea­son. Mer­ry Christ­mas & Hap­py Holidays!